Gift of Peter Randall (Accession 2000:72). William Osler, physician, educator, and medical historian, was born in Bond Head, Ontario, Canada on July 12, 1849, the son of an Anglican priest, Featherstone Lake Osler, and Ellen Free Pickton, both of Cornwall England. At Toronto’s Trinity College, young Osler briefly studied religion before switching to medicine. After receiving his medical degree from McGill Medical College in 1872, Osler studied opthalmology in Europe. From 1874 until 1884 he taught at McGill, practiced medicine in Montreal, and published extensively. From 1884 to 1888 Osler was a professor of clinical medicine at the University of Pennsylvania. While at Penn, he continued his clinical investigations, spending many hours in the postmortem rooms performing autopsies. He maintained his earlier emphasis on superior patient care, conducting famous ward walks in Old Blockley, a unit of Philadelphia Hospital. Osler moved to Baltimore in the fall of 1888 to become a founder of Johns Hopkins School of Medicine and the physician-in-chief of the recently organized Johns Hopkins Hospital. His innovations created a new template for medical education in America, with an emphasis on patient care and formal programs of postgraduate education; his medical textbook became the standard text. 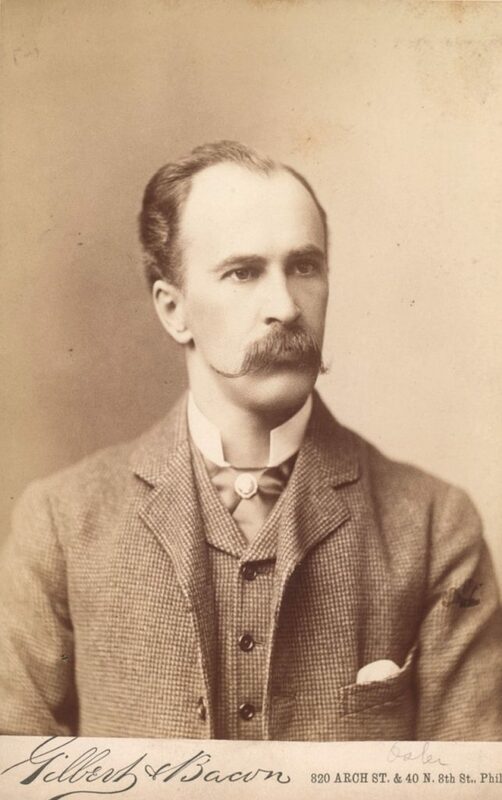 In 1904 Osler accepted a professorship at Oxford University; in England he continued his reforms of clinical practices, through teaching and publishing, until his death in 1919. This collection consists primarily of published works by William Osler, many inscribed with the name “Alexander Randall” inside the front cover. The other item is a published memoir, by Arthur Ames Bliss, of his experience as a resident physician at Blockely Hospital (later Philadelphia General Hospital) in 1883 and 1884.